Mystery, Adventure, and Danger all exist beneath a thick cover of fog. 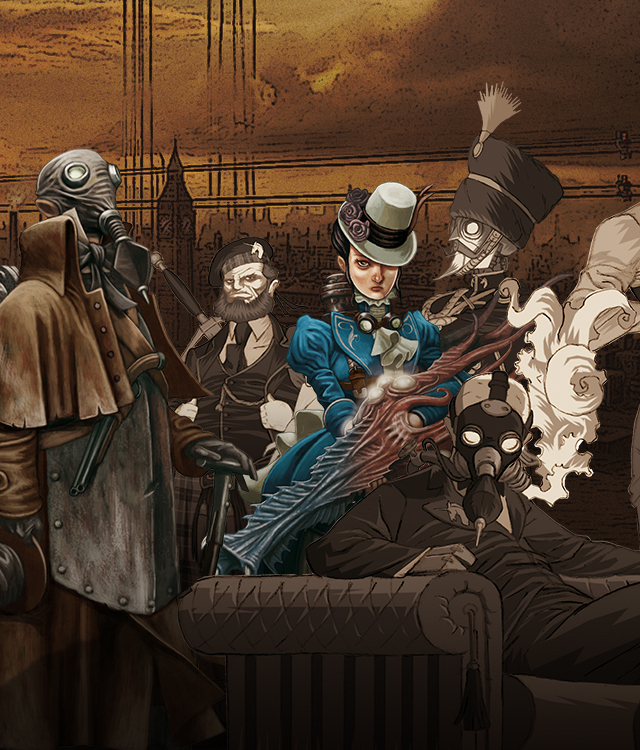 The World of SMOG takes place in an alternate history Victorian London. The British Empire has stretched far and wide and Queen Victoria rules with an iron fist. On the streets of the city, vendors look to hawk their wares in the Shadow Market, while the Gentlemen of the Unicorn Club set off on another adventure. It is a steampunk setting where magic, mystery, and danger abounds, and you can never tell where the next story will take you. The World of SMOG is the stage for two CMON games, On Her Majesty’s Service and Rise of Moloch.